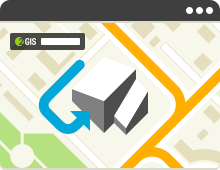 Install 2GIS Prague on your computer, smartphone or tablet, or use it online. 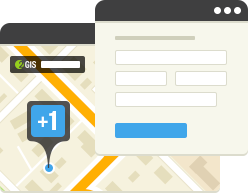 Our database contains information on 2 548 997 companies. To make sure that your information is always up-to-date, we check it several times a year. Use filters to find the companies you want, for example, those that are open now and take credit cards. Photos are the easiest way to find out what lies behind the name of a company. Take a look and choose the best. Our maps are beautiful and detailed. They include highways and footpaths, old buildings and newly built ones. Fences, parking lots, and landmarks – we have drawn everything imaginable that you might find useful. Interesting and significant spots have been marked on the map itself, making it easy to find your bearings and locate any business. We have developed 3D-models of the significant buildings that help shape each city’s image. Convenient routes for all types of travel and the best ways to get there by car. It is up to you to decide what brand of car is the best. We only know the route. No matter if you are traveling by bus, subway, or cable car, we will find the most convenient way to get from point A to point B. 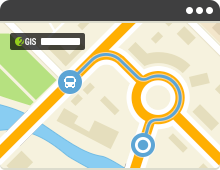 Use 2GIS in your car to choose the best routes, avoid traffic jams, and follow audible prompts. 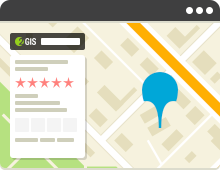 With 2GIS, you will feel confident in any city, even if you are visiting it for the first time. 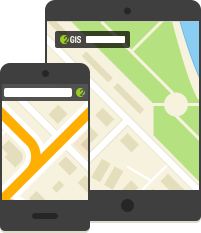 The mobile 2GIS has been adapted for use on iPads and Android tablets. Viewing the map or listings on a big screen really is convenient. We cannot instantly transport you to any company in the city. However, we will definitely show you the nearest one and save you time. Plan the route and track your progress on the map. You will never get lost as long as you have your smartphone and 2GIS. All 2GIS functions work without any access to the Internet. The listings and map of Dubai will be with you even in places with no mobile network coverage or Wi-Fi. Services are a step closer. We have included partners’ services in the listings to save you time. We are constantly expanding our list of partners so that you can buy movie tickets, make an appointment with a dentist, or make a reservation in a restaurant directly from 2GIS.